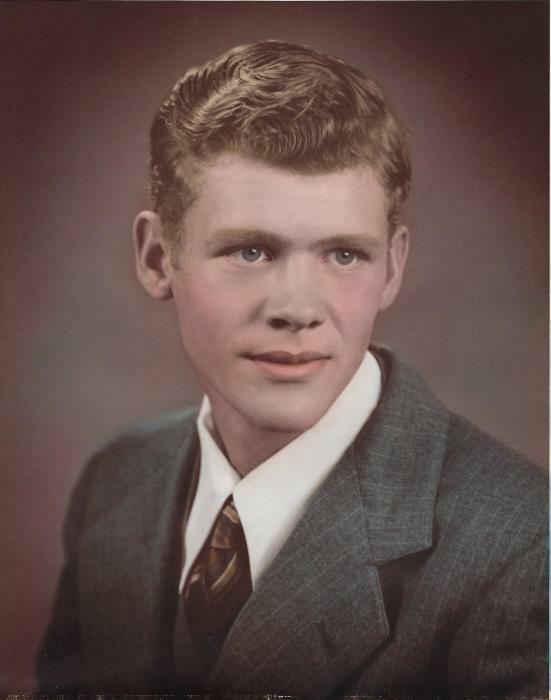 Mr. Roy A. Smith 88, a resident of Trenton died Thursday, April 11, 2019 at 8:35 P.M. at his residence. Funeral services will be held Monday, April 15, 2019 at 2:00 P.M. at Resthaven Mortuary, Trenton. Burial will be in Edinburg Cemetery. Family visitation will be held Monday from 1:00 P.M. to 2:00 P.M. at Resthaven Mortuary. General visitation will begin at 12:00 P.M. on Sunday. Memorial to: Edinburg Cemetery and may be left at the mortuary. Mr. Smith was born May 15, 1930 in Mercer County, Missouri the son of Sam and Osa Ellis Smith. He graduated from Princeton High School. He was a former resident of Half Rock where he was a farmer. On April 1, 1986 he was married to Marsha Elliott at Trenton. His survivors include his wife Marsha of the home. One step-son H. R. Rogers and wife Carissa, Lancaster, MO. Three grandchildren Ashley Demsich, Erin Rogers, and Jacinda Rogers. One great grandchild Abel Knapp. Good friend Richard Moore, one sister-in-law Betty Smith, Trenton, two brother-in-laws Joe Pauley, Chillicothe, Bob Elliott and wife Margaret, Hot Springs, Ark. and several nieces and nephews also survive. He was preceded in death by his parents, four sisters Kathryn McMullin, Lucy Long, Betty Jo Smith, and his twin Joy Pauley. Three brothers Walter Smith, Andrew Smith and Jack Smith.